Things get steamy from the opening scene. Swagger is getting it on and rolling around the floor with his wife. Basically he’s having a secret hookup with his wife. Now, that’s top-secret stuff. Johnson is worried that Memphis might have too much info on him. Once again Swagger proves he’s a top-notch chameleon by pretending to be a police car mechanic. He ends up making “alterations” to the cop car. Time for some target practice and a meeting with Memphis., Swagger brings Memphis the bullet that shot the Ukrainian president. The surprise of the season arrives in the form of WWE’s Randy Orton. So, apparently Orton is a Swagger ally. Memphis is being hounded by Payne in a parking garage. She’s searching for him all over the parking lot, while his voice echoes throughout the garage, as if he’s some voice from the great beyond. She accidentally punches a dude who isn’t Payne. Someone was lucky to be the random guy in the garage on this night. 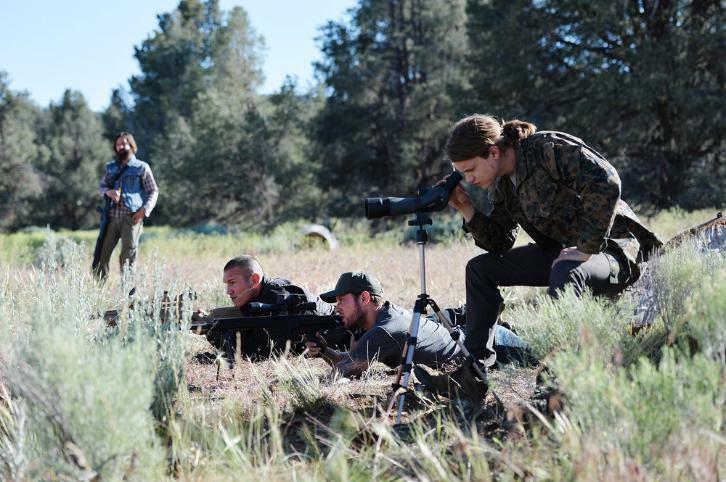 Orton confirms that he’s the bullet-maker, even offers him protection. Since when did Orton become a good guy? I must be confusing his WWE character. Swagger repays the favor and offers to help teach Orton’s younger brother to shoot. Swagger turns in Orton’s crew by making a quick phone call to the feds. Orton does some fine quality work by catching and tying up a lurking Johnson. Memphis and Swagger’s wife have a chat, but Swagger’s wife pulls a quick one on Memphis and goes ahead and exposes Payne to the press and tells them that Memphis is in charge of the investigation. She got served. Meanwhile, Swagger is dragging Johnson and ties him up to a tree. Target practice coming up? Actually, yes! Shots start coming at Johnson. Swagger misses. What’s a way to make this more fun? Put a bet on it. The feds are rolling in. Swagger and Orton are in a bit of tussling. Swagger picks sides, and he sides with Orton’s crew and starts shooting at the feds. Probably a better choice, as crazy as it sounds. Johnson gets away and lives. Memphis is getting baked by the bureau. Swagger drives off in a motorcycle. Apparently he took care of the feds. Payne gets arrested in front of Memphis in the federal offices. That’s all for this episode. Once again, nothing thrilling or exciting happens in this episode. This show is still moving slow, and as the clues are slowly unveiled, much doesn’t change. 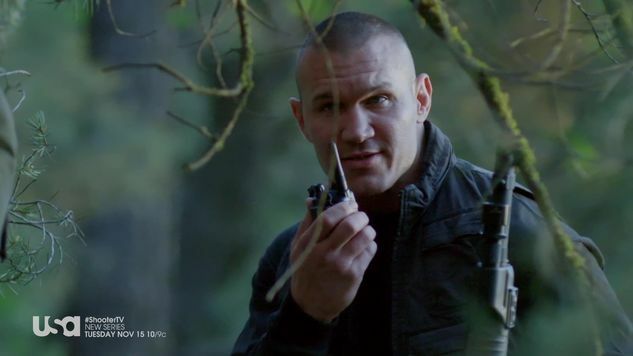 It was cool to see Orton play a significant role in this episode. I’m still having a hard time catching up with the nuances of the plot. Things happen, and they don’t have major ramifications, so it seems. I’m just having a hard time getting excited about this show. What about an actual cliffhanger with substance and meaning? Every episode tends to end with Swagger getting away in the clear with little resistance. Next ArticleTV Review: Fresh Off the Boat (3x08) "Where are the Giggles?"